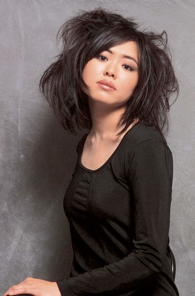 Hiromi Uehara, shown above, is a Japanese jazz pianist. Her music is described as fusion, a mix a jazz, pop, rock, and classical styles. Hiromi has a trio called Sonicbloom, but in this album she plays solo. The album, Place to Be, is a series of jazz impressions of various places. The musical evocation of place takes us into the realm, I think, probably wrongly, of program music, i.e., music that is about something rather than pure music, which is solely about itself. In a way it’s similar to synesthesia. This is an event in the brain in which a sensory perception is experienced not just as sound, or taste, or smell, but as sound plus something else, taste plus something else, smell plus something else. I had a brief acquaintance with a music teacher who had synesthesia, but never knew her well. All of this is to say that the music should evoke associations, either through echoes of other music, or through the evocation of sounds associated with the place. Some musicians, and this was my initial impression of Wynton Marsalis, are very good technically, but lacking in emotion. I found the first volume of the Standard Time series good intellectually, but emotionally deprived. Hiromi, on the other hand, manages to be technically faultless without losing expressiveness. BQE is Hiromi’s evocation of New York, particularly the Brooklyn Queens Expressway. When I first listened to it I thought I heard echoes of New York, New York from On the Town, a second listen didn’t confirm that. It does convey an impression of the verve of New York, and its frenetic energy. Choux a la creme is a bit harder to characterize. Hiromi mentions the chocolate creams of France in her notes on the tune. There are three songs in a cycle title Viva Vegas. The first, Show City, Show Girl conveys, successfully, the image of a Vegas show, and the chorines strutting their stuff under the glare of the lights. Daytime in Las Vegas is quieter in mood, and actually somewhat subdued. The Gambler has nothing in common with the Kenny Rogers song of the same name. The initial image can be likened to that of the dice player, and the rhythm of the throw of the dice. It later changes into a more frenetic, almost sexual rhythm that evokes the tension of gambling. There is an obsessive, driven quality to it that matches the passion of the act. Place to Be, the closing song, is gentler and more reflective. It’s not associated with any particular place. It might be described as evoking a place to be rather than a place to do. A place of sabbath rest is evoked after the tension and excitement of Las Vegas.